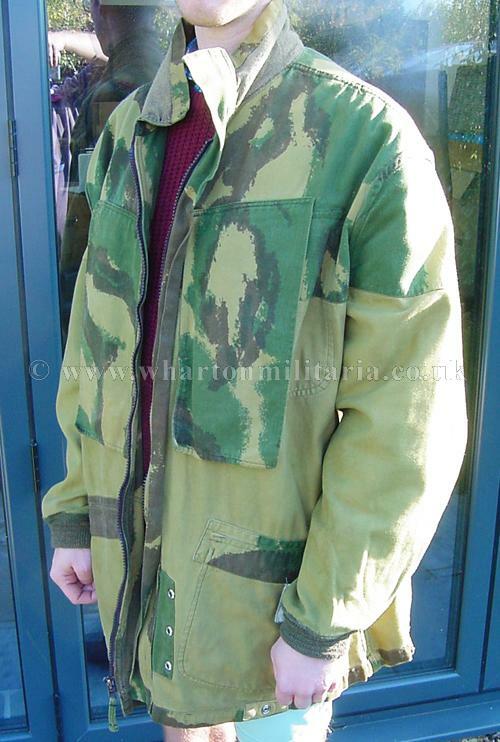 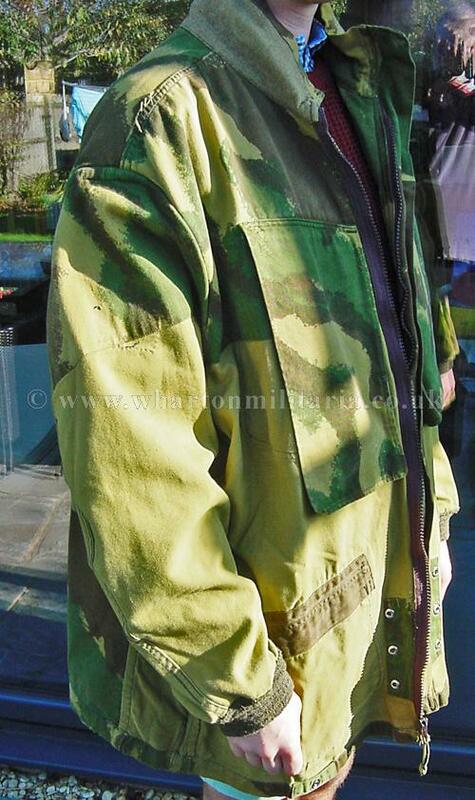 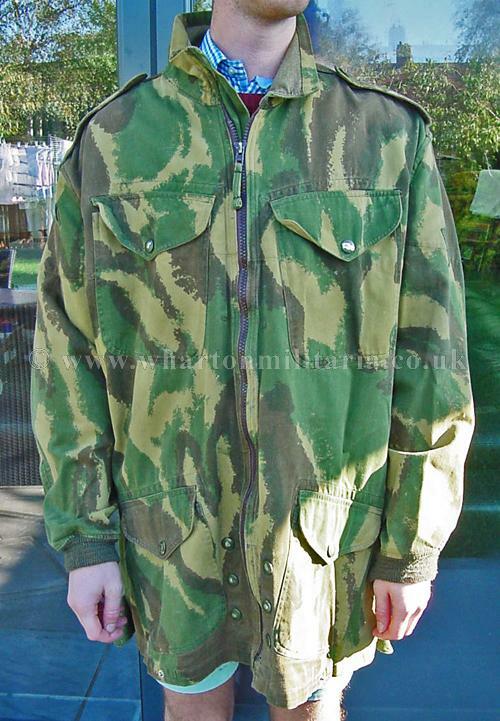 British Denison Camouflage Parachute Smock by CWCW LTD, 1959 Pattern. 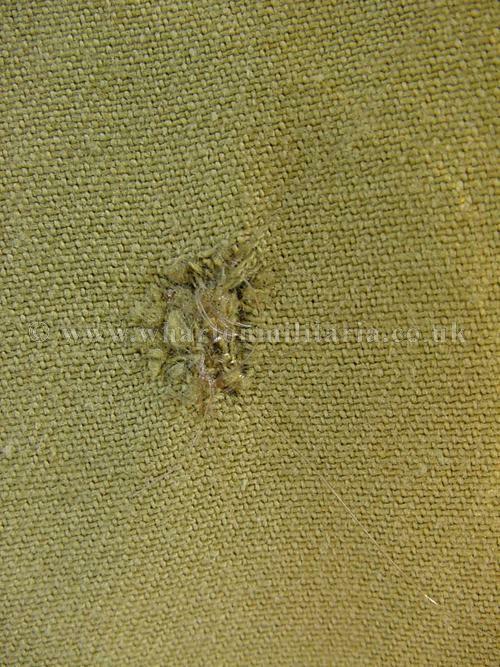 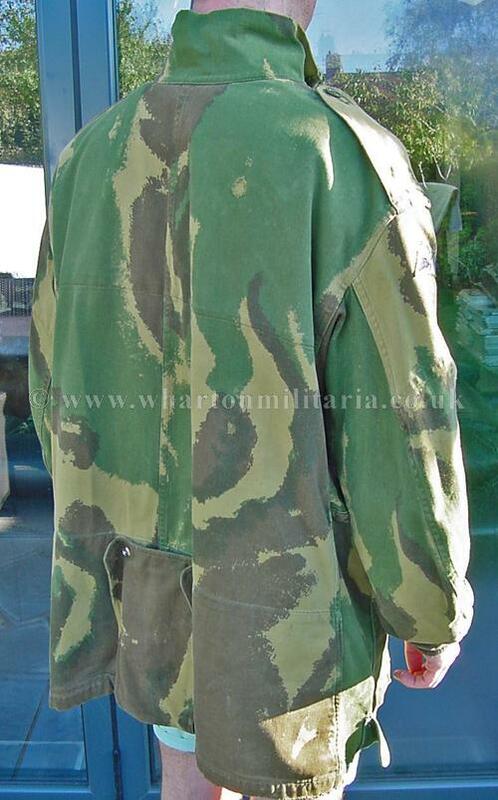 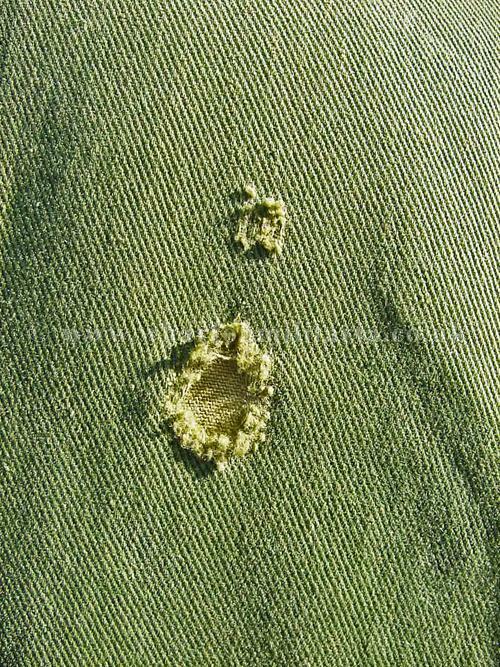 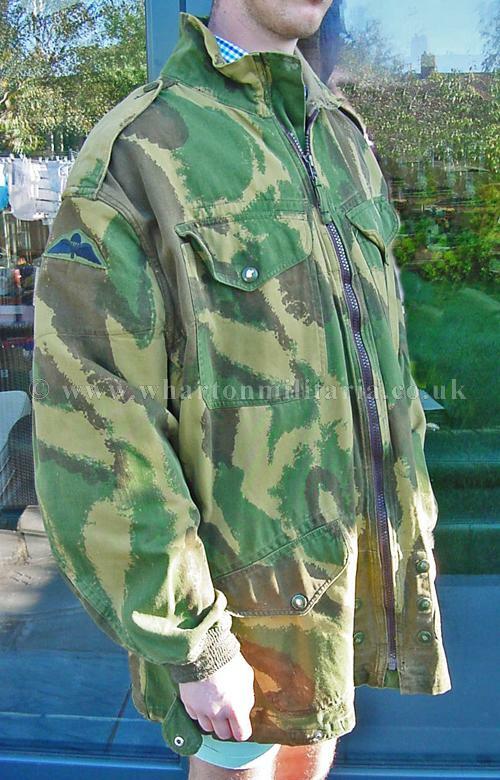 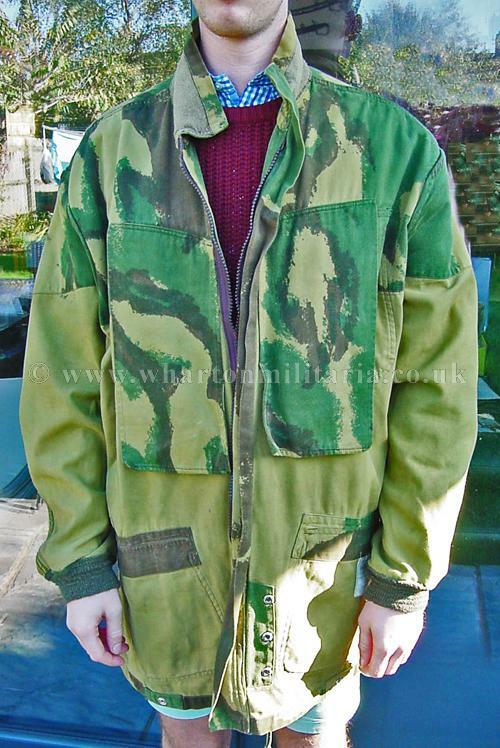 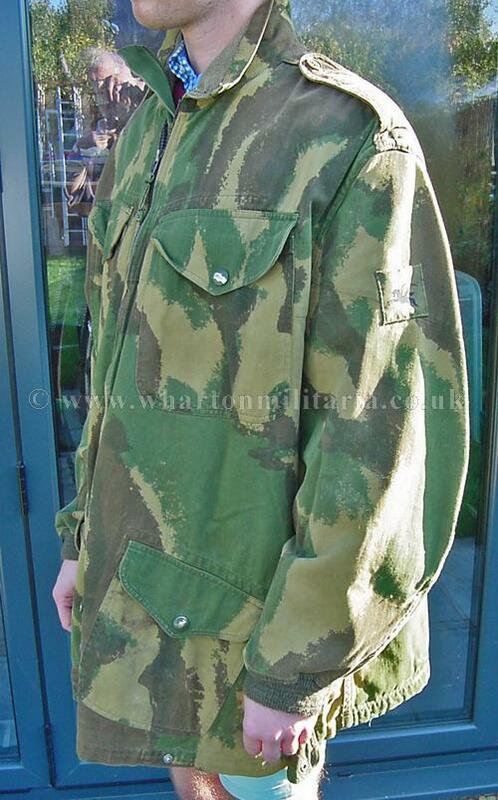 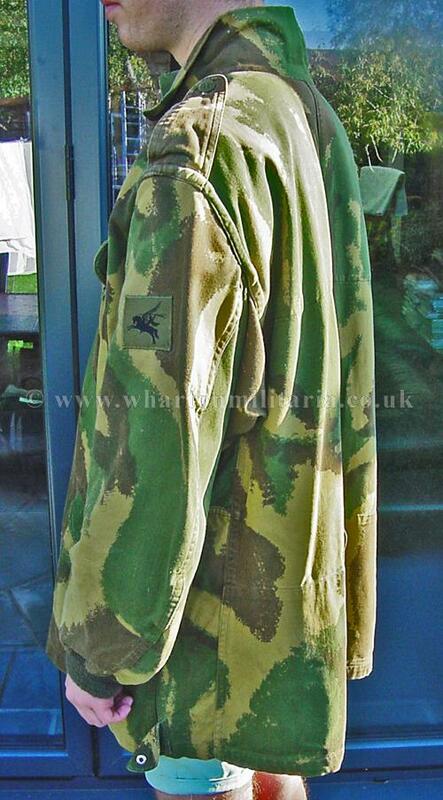 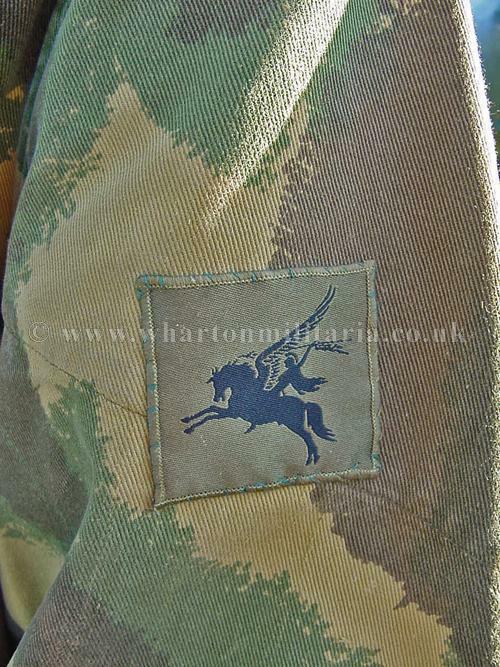 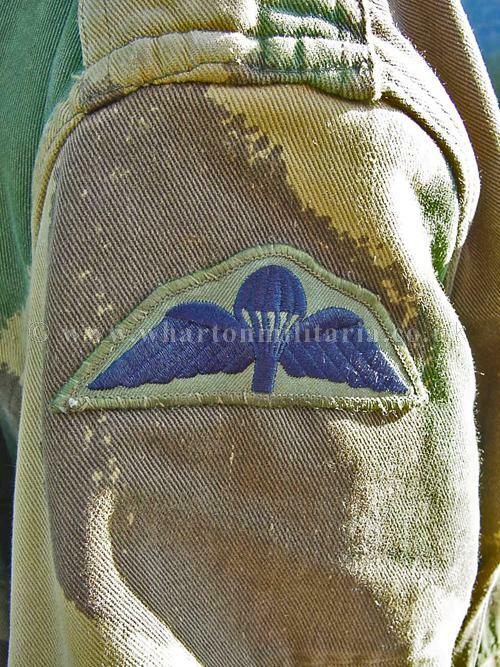 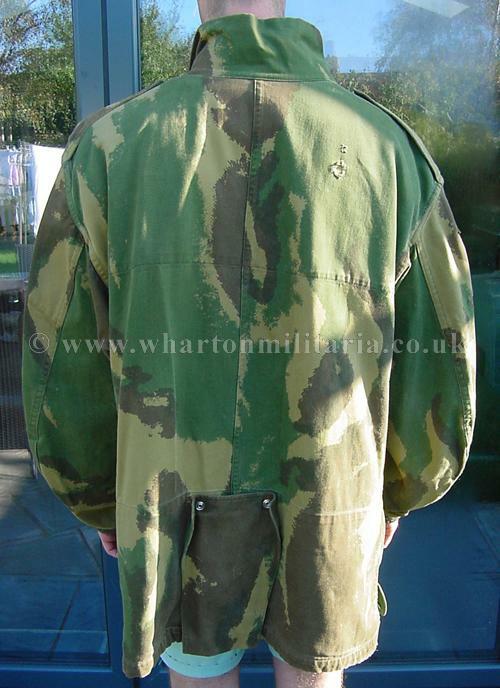 Original British 1959 Pattern Denison camouflaged parachutist's smock by CWCW Ltd, in excellent condition with minimal signs of wear, early 60s production, it has elasticated cuffs, tail flap with stud fasteners and full zip. 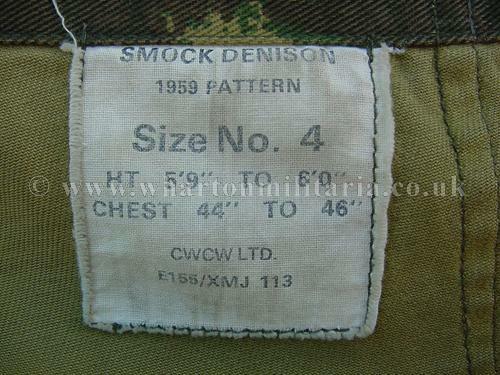 Inside the body the label reads 'Smock Denison' and '1959 Pattern', sized No 4 and manufacturer CWCW Ltd. Material and stitching is clean with some light service wear to be expected, zip and stud fasteners are present and work perfectly, there is some cuff wear as there often is with these smocks plus it has had two regimental tailor's repair to back material, see images, this is a common repair to denison smocks where the back material had snapped something whilst being worn. 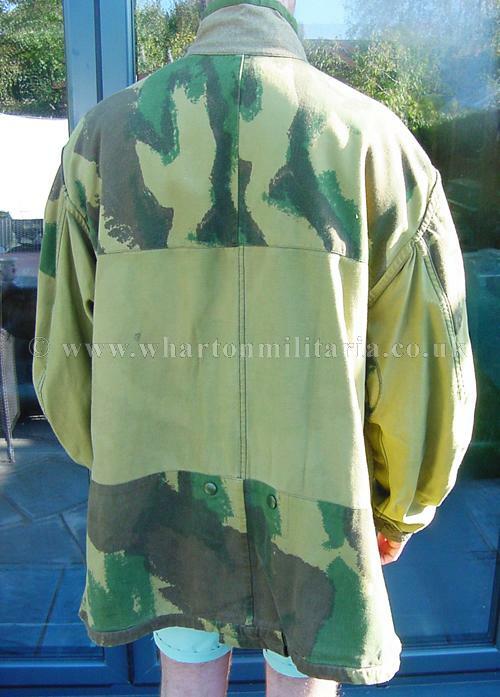 Measurements are across the shoulders approx 22 inches, chest approx 44-46 inches, neck to hem drop 35 inches and arm length approx 26-27 inches. 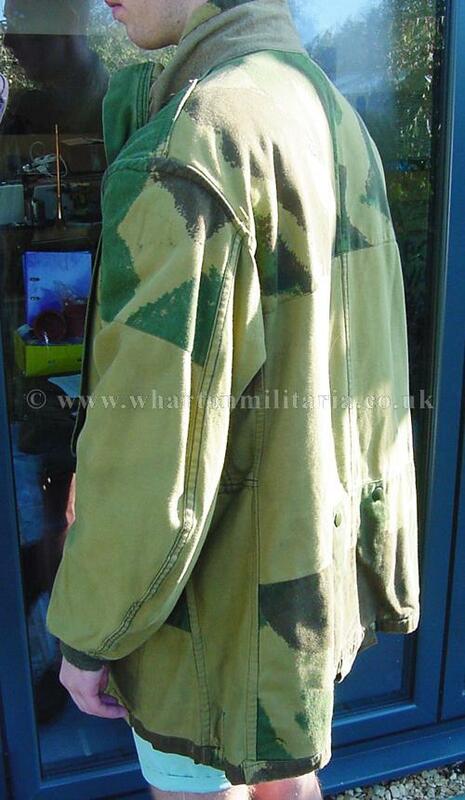 A very nice large size denison that had light wear before it was retired.